In mid-July, our Free Letters Home™ program launched a second location at the Ballard Urban Rest Stop. 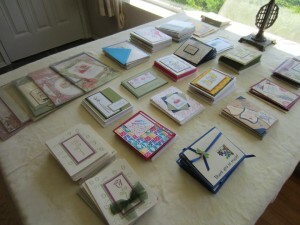 The support of Sustainable Ballard and its members through generous donations of cards, stamps, and volunteer hours has been key to the success of this project at our first location. With the Free Letters Home™ program, we know we can’t solve all of someone’s problems with a letter and a stamp, but we can offer dignity and respect to our neighbors and let them know they are validated and cared about by the community. We could really use more help at our second location! This is the ideal volunteer opportunity for anyone who has a flexible schedule, works from home, telecommutes, and/or is not a morning person. We set up one day a month, (2nd Wednesday) from 11:30 am to 1:00 pm, at the Ballard Urban Rest Stop. Qualifications: compassion and patience, the ability to read and write. The fact that you’re reading this means you are 50% prequalified to help! Interested? Contact Kate.